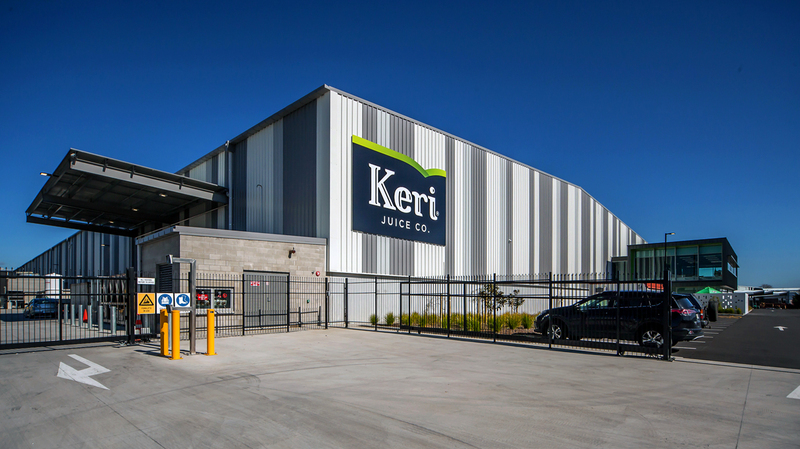 The Keri Juice Facility located in ‘The District’ has been designed to deliver high quality, safe and efficient, processing and packing facilities for Coca Cola Amatil while ensuring that the building can be converted for many other uses. 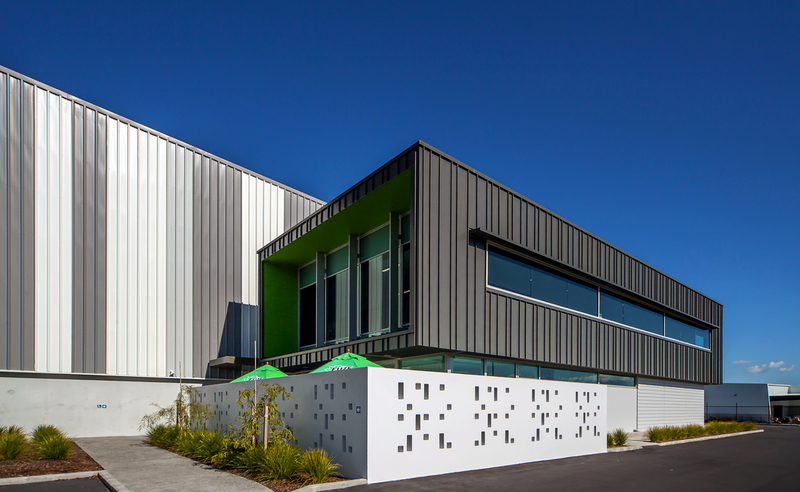 Safety and efficiency were critical requirements with the building designed to separate pedestrians from moving trucks and fork hoists. 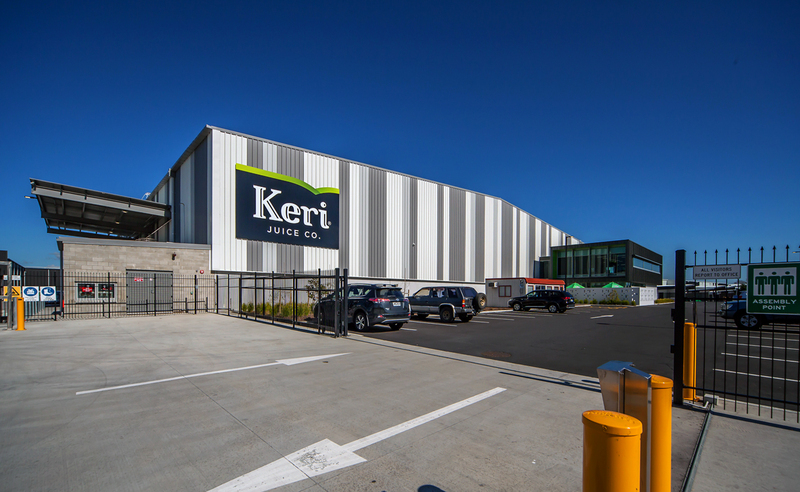 The 11,000m² Keri Juice facility comprises 10,400m² of cool storage, processing, packing and short term storage, 430m² of office, amenity and laboratories and 820m² of canopies for weather protected goods handling. 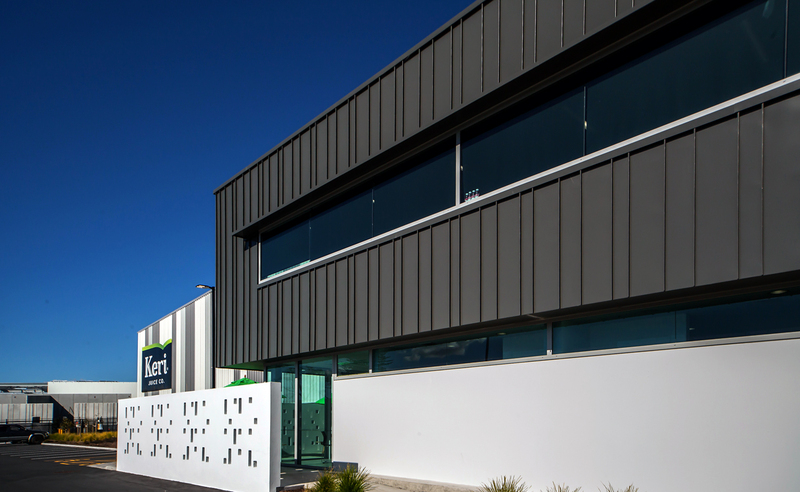 7000m² of the floor is required for automated processing and packing equipment and is also fully drained and protected from corrosives, the specialist floor and intensive fit-out can be removed and floor replaced to reveal a 65 metre single span warehouse structure ensuring full flexibility of future use.